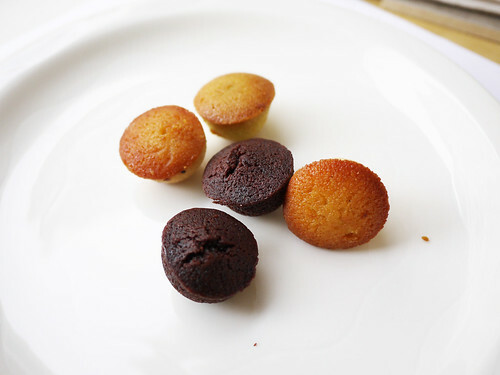 In brief: I thought last time there were three flavors in the mini financier bags but today we only got two. Sad face. Sometimes they have pistachio mini financiers- those are the best! !